Chill gin and syrup together briefly in a mixing glass. Strain into tall iced glass along with club soda. Garnish with lemon peel. After experimenting with many different homemade syrups, I had an idea to make something that I remembered from when I was a kid. 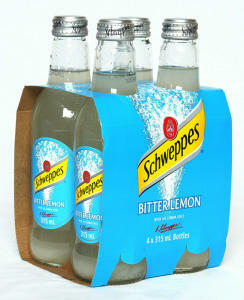 My parents made tom Collinses, Sours etc…and soda companies made things like Tom Collins mix (a citrus soda really) and BITTER LEMON by Schweppes. 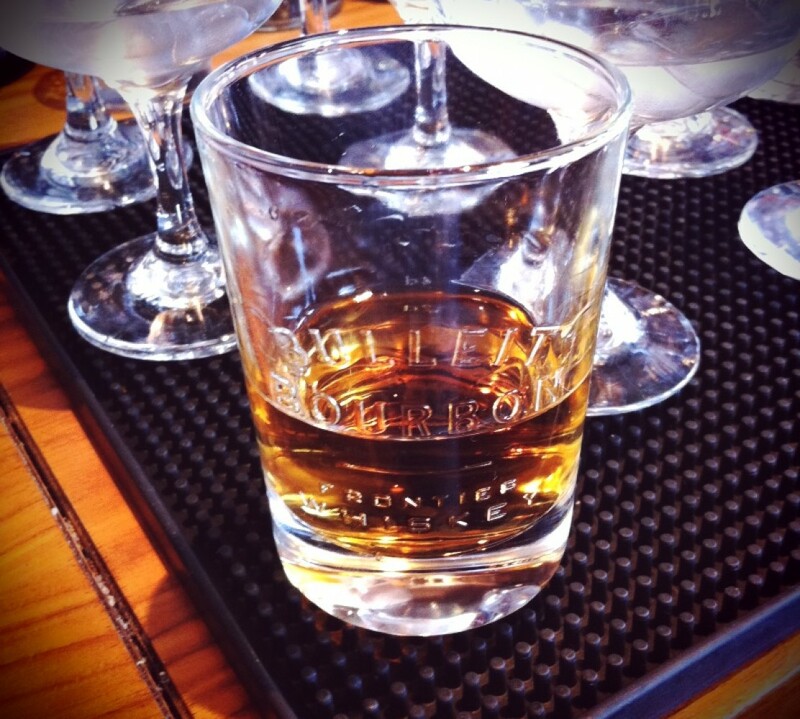 They would let us drink those, minus the gin of course…somehow I remember what gin tasted like though..Go figure. I dont remember anyone drinking Vodka back then. So I Wanted to try my hand at making bitter lemon syrup and soda. 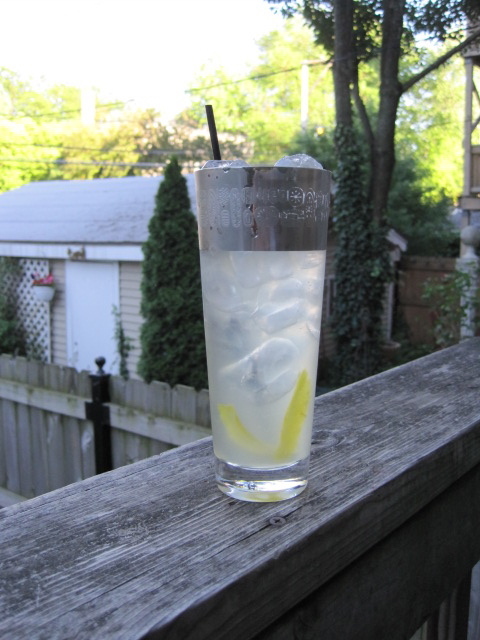 There has been much experimentation in the mixology world with homemade quinine or tonic water. And I will be making a version of tonic soon, but bitter lemon was on pressing on my mind. My idea really was to not get crazy with too many ingredients, but get the essence of the cinchona (the bitter) and the lemon. So I went about making my lemon cordial/syrup and went a step further by steeping cinchona bark in that freshly made hot syrup, as you would with tea. Double strain and you have a sweet, tart and bitter lemon that reminds you of good tonic and lemon. Just mix with club soda or soda from a siphon and with a good quality gin, like Plymouth, Beefeater, Bombay (regular) or Tanqueray 10….or splurge with some Old Raj…Chill gin and syrup together and strain into a tall iced glass with soda and you have the long drink of the summer! I ordered 1lb of cut cinchona from FEELGOOD HEALTH (CANADA) for about 35$. It was true cut cinchona bark, not processed. Steep bark using a large tea strainer to hold the bark. steep for about 1 minute. It doesnt take long to get the essence from the bark into the syrup. Taste and adjust to your taste for bitterness. Everyone is different so do it the way you like it! The bitter lemon syrup will take a dark tan color to it from the cinchona bark. It is normal and the color actually dissipates when mixed with gin and soda and ice…giving a nice yellowish tint to your cocktail. Variations will be other bitter citrus fruit syrups, combination citrus fruit syrups, addition of herbs or spices. I have seen Lemon grass used in some tonics. I could see cucumber, rosemary, mint. Coriander and other gin botanicals. NOTE: I do not use any preservatives, like citric acid, in my homemade syrups . After using it when i started making them I found that it was really unnecessary in homemade versions. I get all my acid flavor from the citrus fruit and it stays fresh in the refrigerator, sealed, for at least a month without preservatives.